Here in the Pacific Northwest it’s the time of year where the weather gets a little drizzly and we find ourselves seeking out indoor entertainment on those really rainy days. That is where our deep love and appreciation of the library comes in. Here are some of our favorite books about libraries. 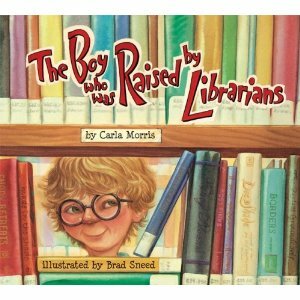 The Boy Who Was Raised by Librarians – Carla Morris has created such a sweet story about a little boy named Melvin, who visits his library frequently and his three librarians help him learn all there is to know about all of his changing interests. This story places a true emphasis on what a fantastic librarian, or in Melvins’ case a team of fantastic librarians, can do to support a young mind. They show him books, websites, and a general interest in everything that Melvin wants to know about. Such a great story, the ending is fabulous, you going to have to check it to see what happens to Melvin. Check out this link to a YouTube video. 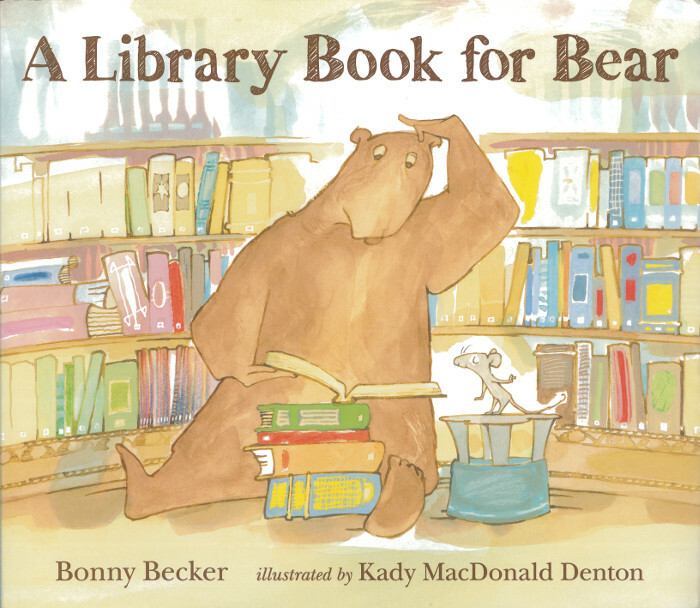 A Library Book for Bear (Bear and Mouse) – This is an incredibly cute book, by Bonny Becker, about a bear who is convinced that he already has enough books at home, he is convinced by his pal Mouse to go to the library and although he is one picky bear when it comes to his literature choices, he has a most enjoyable time. If you want to know more about Bear, he is a very interesting character, read his most recent interview with a certain Mr. Pig from The Little Crooked Cottage. Mr. Pig ask some very thought-provoking questions you might have been wondering about yourself. 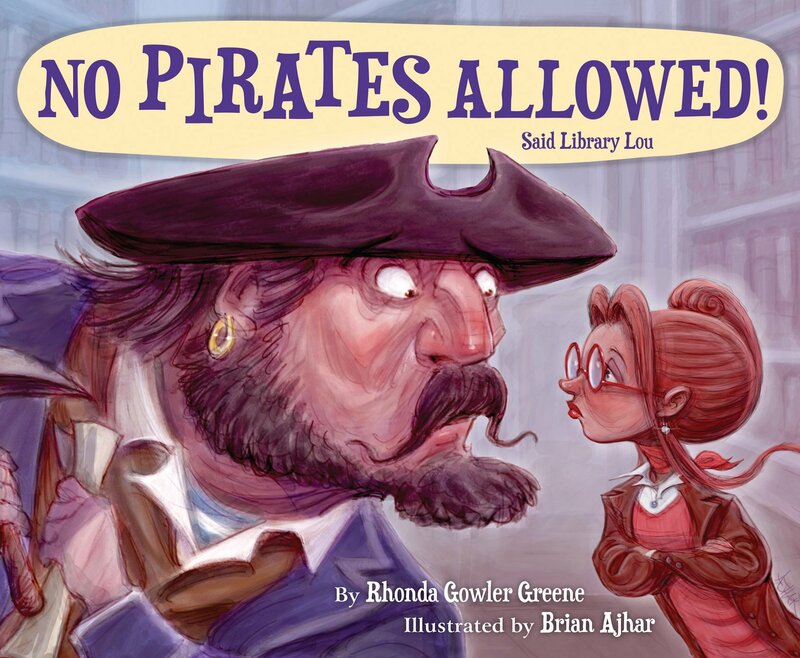 No Pirates Allowed Said Library Lou – Argh Matey, Rhonda Gowler Greene, has written this fantastic story about a strong-willed librarian named Lou, who can handle anything that comes her way. This is a silly story about a pirate and his parrot too, they come to the Seebreezy Library looking for buried treasure. Pirate Pete is not prepared for the adventure he encounters when he meets Lou the Librarian. If your petite loves books and pirates you are in luck this book is a fantastic story. This would be a great read for a little one who needs reminding about library behavior and manners. Activity: It might be a fun time to make a treasure map for your little one with clues about finding a certain book, maybe even this book. Bats at the Library (A Bat Book) – I’ve written about this lovely book before, Brian Lies has written this amazing story about a colony of bats that has quite the fabulous evening at the library. What my girls love about this book is that the bats just can’t wait to get into the library and enjoy their time reading books and exploring. This book is so much fun, we have had some great conversations about what the bats might look forward to the most, and what would happen if the library was open every night. My favorite is when we talk about what book we would jump into like the bats. The illustrations make this book so special, Brian Lies is a new favorite author in our house. Activity: Brian Lies has this awesome bat story activity: http://www.brianlies.com/Activities/activities_fold_a_bat.html this is an incredibly cute activity where your petite to color a bat and talk about their favorite book, or make a whole garland of bats with their favorite books. Stay tuned for the next installment of Library Love!